Cybercrime remains a pervasive threat; attractive and lucrative in its ability to generate profits with minimal risk of attribution or interdiction. Barriers to entry are reducing due to the diversification of illicit subscription services, automated software toolkits, and vast online criminal support forums. Cybercriminal ingenuity continues to mature, making the most of attack opportunities arising from new technology adoption. 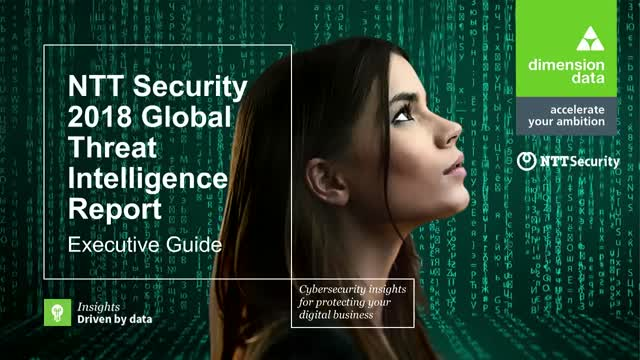 In this webinar, we explore the findings of the NTT Security Global Threat Intelligence Report, and provide insights to guide your security investment decisions aligned with your industry sector, geographic profile, and risk appetite. We share notable insights into the evolving and emerging threat landscape, including ransomware, threat intelligence, industry targeting, and compliance regulations observed during the past year.